For safety reasons, the train will make an emergency stop when any part of it is still within the platform if any Emergency Intercoms has been activated. 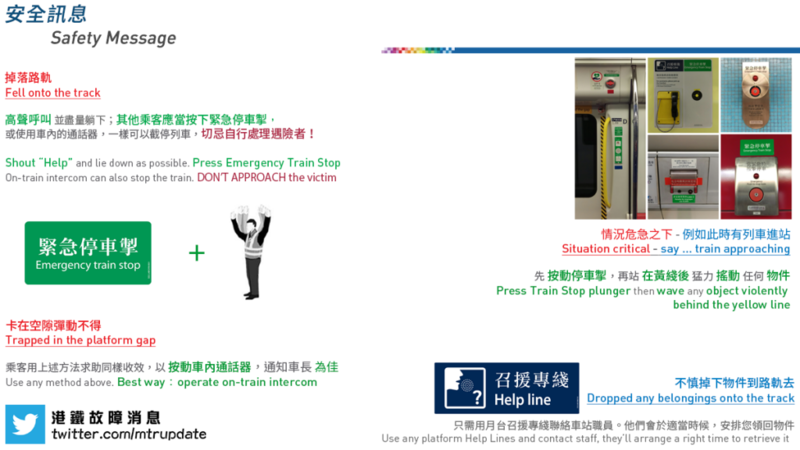 Therefore, consider to help a sick passenger to alight at next station then seek for staff’s assistance. Or you may activate the Emergency Intercom once the train left the platform for a period of time in order not to delay his or her medical treatment. Call the Station Control Room and seek for staff assistance if you encountered any event above therefore trains will continue to run and allow people leave the scene by trains.